Last weekend was a busy weekend in Vancouver. The Royals, Prince Charles and Duchess of Cambridge Kate, flew in from Victoria for a day in Vancouver on Sunday created quite the buzz downtown. Alongside the visiting royals, the Interior Design Show was in full swing at the Convention Centre, but what I was most excited for was the Hermès at Work Exhibition! Two of the most coveted and sought after luxury handbags in the world are hand made by Hermès' artisans in France, the Birkin and Kelly. However, to the bewilderment of many, Hermès was originally known for their high-quality saddle, bridal and harnesses for horses when they first opened their doors in 1837. 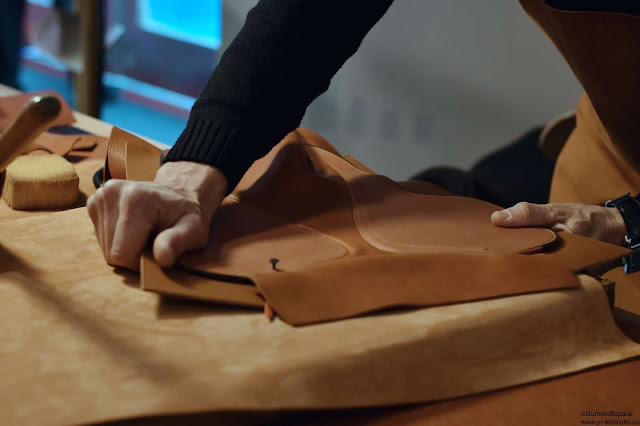 It was exciting to see Hermès still embraces their origins and brought along one of their talented saddle makers. It was intense watching him build the saddle from scratch. The artisan had to use his full body to ensure the stitches and joints of the saddle were taut. Not only could you see a new saddle being constructed, Hermès also brought along some of their very old saddles. They were stunning to look at! To imagine how the craftsmanship has only improved over the century. 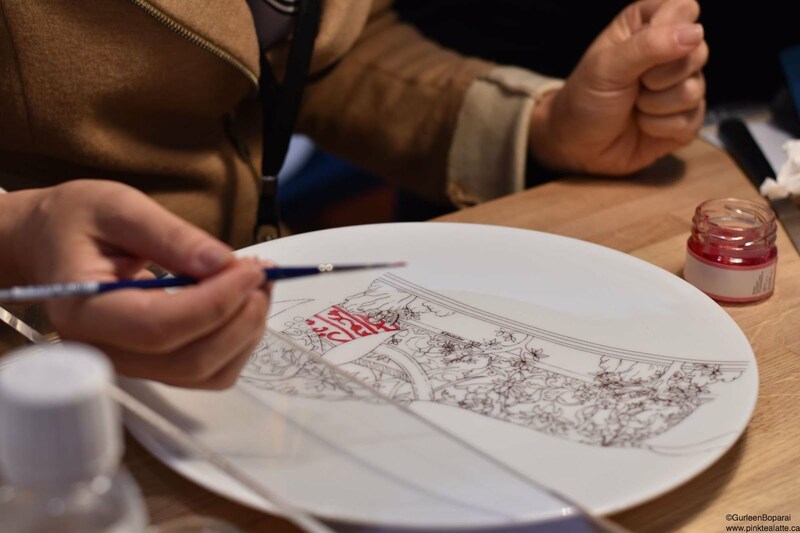 There were also artisans hand-painting bone china as well as assembling Hermès watches and jewelry. I cannot even imagine how steady the hands of those artisans are! 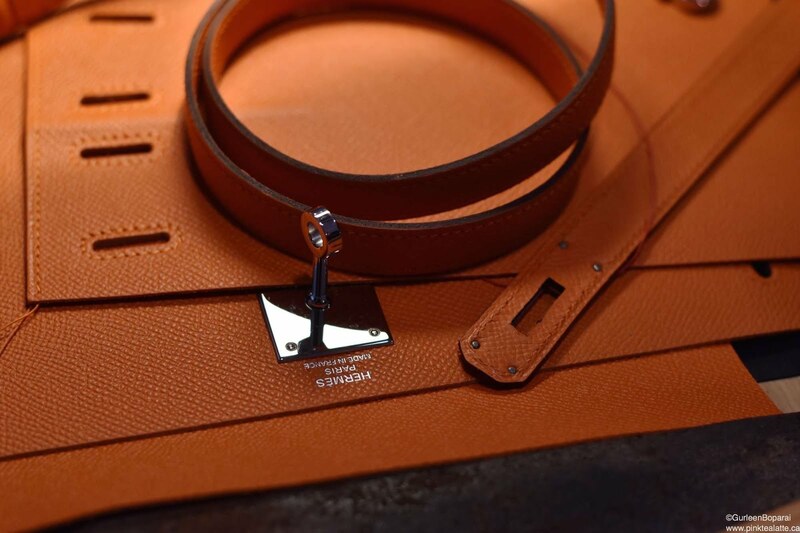 The amount of detail that goes into each Hermès is astonishing. This was only further illustrated by the Silk Printers. My favourite exhibition to watch were the silk printers. The other station tables were very small, so with me being short, I could not see what was happening when there were others in front of me. Lucky for me, the screen printing table was 4 meters in length, so I was able to wiggle my way to the front! Also, the two artisan's working at this station were full of energy and really integrated everyone who was gathered to watch. I was astonished to learn that one scarf takes 24 months to complete! 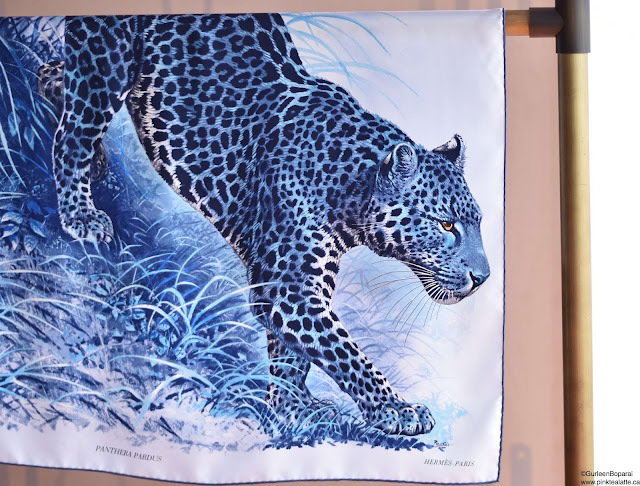 The silk screeners explained that an Hermès scarf begins with the silk cocoons which are first spun and weaved into gorgeous silk. The silk is then prepared for silk screening which is what the artisans demonstrated. Each colour requires its own screen; therefore, a scarf with 23 colours will have 23 different screens. To me, the screen printing seemed easy; however, it requires a certain finesse as well as experience to know which squeegee to use and what order to lay the colours down. So even though I thought I could jump up there and screen print a scarf, it probably will not turn out really nice! Once the design has been completely inked, the scarfs go through some more processing to ensure the inks adhere to the silk fibers. 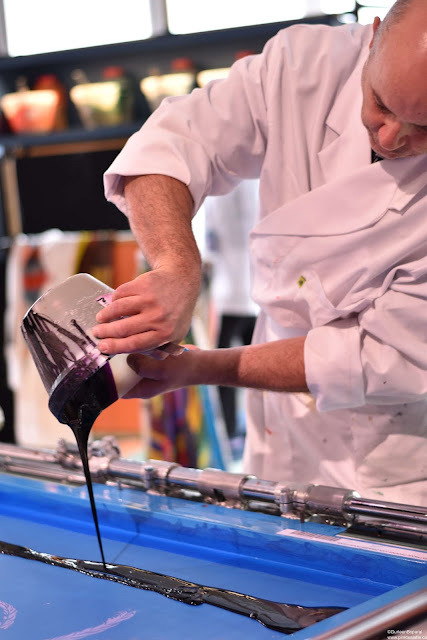 Also, the inks are developed by the Hermès screen printers to ensure the pigments look amazing on a finished scarf. 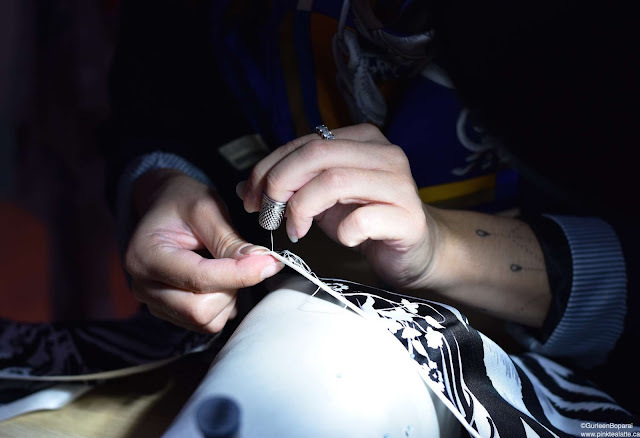 Adjacent to the screen printing station, an artisan was completing the final stage of an Hermès scarf, sewing the hand rolled hem. I cannot even imagine how many artisans work on a single scarf from beginning to end. Of course, the best for last, the Kelly handbag was being assembled from scratch by one of their master craftsman. Ahhh! The Kelly she was working on was in the iconic Hermès shade of orange with silver hardware. She made precision cuts from the leather, hand painted and sealed each edge, made holes for the stitches and of course then hand stitched the entire Kelly. Every single process was completed by hand. Some of the tools she used are still the same type of tools that were used decades back. Of course, the edge sealer is now electronic and not heated over a flame anymore! Hermès' Artisans at Work has really given me a new appreciation for the luxuary house. Their artisans were all flown in from France and were accompanied by translators who explained it in english for us non-french speaking Vancouverites. If Hermès exhibition does come by your city, you really should take the time to visit it. Even if you are like me and do not own a single item from Hermès, it is honestly, simply put, COOL to watch and learn from the artisans!